ServiceMaster Clean of Ottawa is a member of the ServiceMaster Clean national network of cleaning specialists. For 65 years, ServiceMaster clean has been a leader in commercial, residential, and janitorial cleaning. 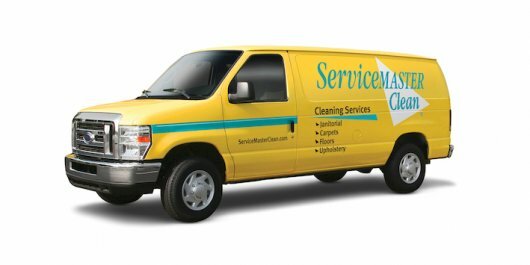 Offering state-of-the-art and exclusive products, equipment and procedures, ServiceMaster Clean offers some of the most significant advances in the cleaning industry. In Ottawa, we are the trusted single source for exceptional commercial, residential, and janitorial cleaning, and safety and accessibility solutions. Property Managers, Facility Managers, and Building Owners turn to ServiceMaster Clean of Ottawa for all their cleaning services, safety and accessibility services, and disaster restoration needs. We are IICRC-certified, part of a national network, are committed to health and safety and environmental stewardship, and hold memberships with BOMA and IFMA. Homeowners rely on ServiceMaster Clean of Ottawa for all their cleaning needs, and safety and accessibility home modifications. We are IICRC-certified, committed to environmental stewardship, and we understand the importance of communication. Occupational Therapists care about the well-being of their clients, so they turn to ServiceMaster Clean of Ottawa for safety and accessibility solutions such as high quality craftsmanship and installation of ramps, railings, grab bars, door widening, and cabinetry lowering. At ServiceMaster Clean of Ottawa, we take pride in the business we have built. And because of this pride, we are continually improving our services and listening to what is important to you —our valued customer. We are environmental stewards; we are customer-focused; our employees are professional and experienced technicians committed to delivering customer satisfaction; we use advanced technology to improve efficiency; and we go the extra mile by providing specialty cleaning services. We have been a locally owned business in Ottawa since 1979 with strong ties to the community. You can trust us with your cleaning and safety and accessibility needs. We guarantee it. John purchased ServiceMaster Clean of Ottawa, along with CanClean Financial, in 2006. He has an extensive career in this industry starting with purchasing the 200th AmeriSpec franchisee license in Brampton, ON, in 1994. Within four years, John grew AmeriSpec of Brampton to the 10th largest AmeriSpec business in all of North America. In 1998, ServiceMaster Inc. acquired AmeriSpec Inc.
Based on confidence in the ServiceMaster brand, John remained with the franchise, now called AmeriSpec of Canada, and, along with a partner, founded an engineering company specializing in home and building inspections, and environmental engineering. They were awarded AmeriSpec of Canada franchisee licenses in Kitchener, Waterloo, and Cambridge, ON. In 2000, John joined ServiceMaster of Canada as Business Leader for AmeriSpec of Canada and saw sales of his division triple in five years. John has served on the AmeriSpec Presidents Advisory Council from 1998 to 2005, has been awarded the We Serve Award, and he and his team have been the recipients of 16 achievement awards and two nominations for the Presidents Cup. John’s hard work with ServiceMaster Clean of Ottawa led the company to win the 2008 Mid-Market Business of the Year award through the Ottawa Chamber of Commerce and its Business Achievement Awards. Additionally, the company has obtained several Consumers’ Choice Awards under John’s direction. Most recently, John has facilitated residential construction courses to the insurance industry, through the Insurance Institute of Canada. Steve has been President and CEO of Clintar Landscape Management/TruServe Inc. since early 2015. A fluently bilingual executive, Steve has more than 25 years of experience in General Management, Finance, Human Resources, and Sales and Marketing. He has worked in the U.S. and internationally in both corporate and franchise models for companies including Domtar, Seagram, Brookfield/Royal LePage, an Sylvan Learning. Steve is a versatile leader who has demonstrated excellence in developing and leading businesses through change as well as many areas of substantial growth. Steve became CEO of CanClean Financial Corp in 2017. CCF Corp is the private equity owner of several Canadian companies that operate coast to coast primarily in the service industry. Our customers are FP 100 companies as well consumers in all major markets. Kirk is an experienced financial controller with a background in the mining, educational, and retail sectors. Kirk has a greater than 20-year career in accounting, project management, and human resources. Prior to joining ServiceMaster Clean of Ottawa, Kirk held the position of Financial Controller of Le Cordon Bleu Culinary Arts Institute with responsibility for accounting and financial services of the cooking school, a restaurant, and a boutique, which are part of a multi-national corporation of cooking schools around the world. Kirk has an extensive career in the mining industry managing projects aimed at evaluating the economic potential of mining properties in northern Quebec, Ontario, and West Africa. He was responsible for operational, financial, and human resources. Kirk has a CMA accounting designation, and B.Sc., and M.Sc. degrees in Geological Sciences. He is also fluently bilingual in English and French. Brand Promise: The clean you expect. The service you deserve. Our highly trained cleaning professionals are dedicated to going above and beyond your expectations. Through communication and teamwork, we clean your office exactly the way you like. We use the latest methods, equipment and technology to do the job right the first time.